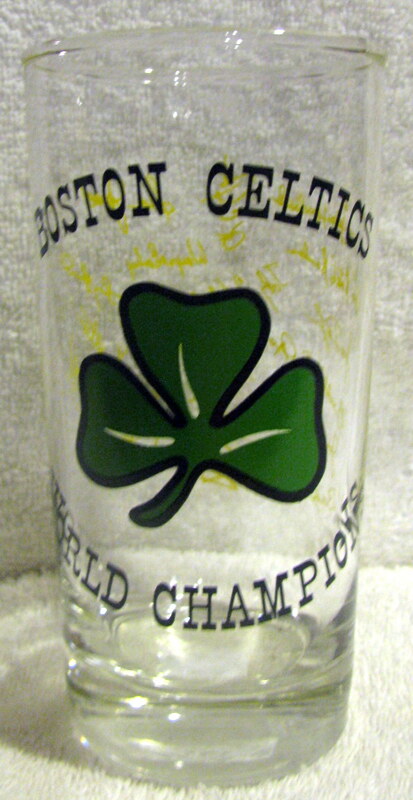 This glass honors the World Champion Boston Celtics and is from the mid 60's. 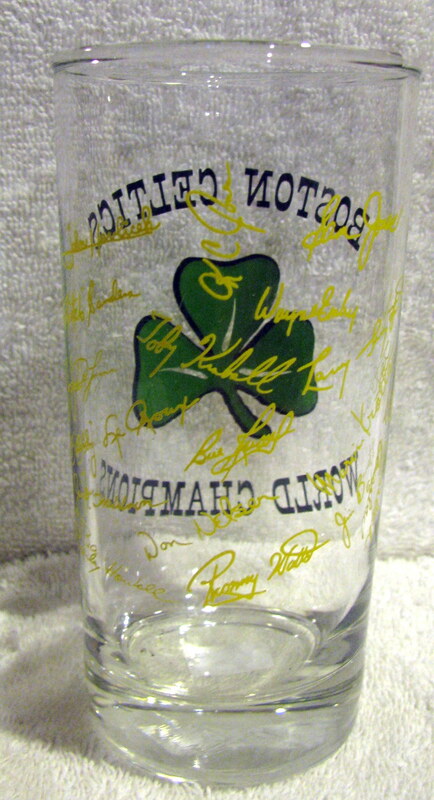 The back side of the glass has facsimile autographs of team members. It's 5.5" tall and near mint.